July 26, 2014 The Turkish humanitarian relief organisation (IHH) is currently organising a ‘Freedom Flotilla II’ which will carry humanitarian aid to the besieged Gaza Strip, IHH chairman Bulent Yildrim said Thursday. In statements to Gulf Online, Yildrim said that his organisation has embarked on legal procedures and paperwork required to obtain a permit for the trip. As soon as a final permit is issued, the IHH along with other international organisations will immediately set up the convoy. The chairman of IHH, a major organiser of the Gaza Freedom Flotilla I, said that Turkish army troops will accompany the ships to protect it from any potential attack, pointing out that his organisation demanded the government to provide protection for them as Turkish citizens. 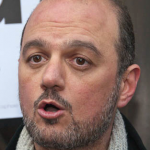 Maze Keheil, the president of the European Campaign for Lifting the Siege on Gaza, confirmed his campaign’s intention to take part in the new flotilla, as it did in first one in 2010. This report appears to be based on unreliable Iranian and Palestinian sources, so we will be looking for confirmation in the coming days. 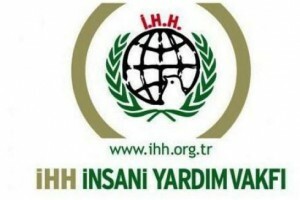 Although IHH declared that the flotilla was humanitarian in nature, the history of IHH suggests that it is not only a humanitarian organization…..Aside from these terrorist connections, this report demonstrates that IHH and the rest of the Turkish/MB network are in fact Islamist, politicized organizations. The JCPA report contains extensive information on the extremist/terrorist ties of IHH. Read the rest here. The GMBDW reported last week that the IHH was recruiting “human shields” to serve in the Gaza conflict. 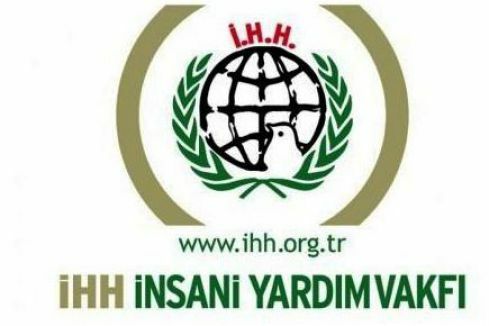 In September 2012, the GMBDW reported that the IHH might have been involved in transporting weapons to Syria on behalf of the Syrian Muslim Brotherhood. In June 2012, we reported that the IHH President was being investigated for allegedly financing al-Qaeda through his organization.